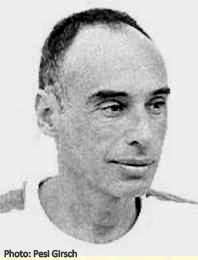 Hanoch Levin (1943-1999), one of Israel's leading dramatists, was born in Tel Aviv and studied philosophy and literature at Tel Aviv University. At first he wrote poetry and stories, as well as political satires, but later concentrated on the theater. He became resident playwright of the Cameri Theater in Tel Aviv and also worked with Habima, Israe's national theater. Levin wrote over 60 plays and cabarets, almost 50 of which have been staged. His work includes comedies, tragedies and satirical revues, most of which he directed himself. In addition, he published books of short stories and poems and a book for children. His plays have been staged around the world, and he received many theater awards both in Israel and abroad - most notably the Fringe First Award at the Edinburgh Festival, for his play Yaʹakobi & Leidental (1980). 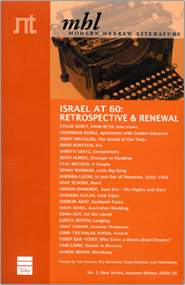 Among Levin's awards in Israel: the Silver Rose Award for Playwright of the Year three times (1978; 1979; 1982), the Lea Porat Prize (1983), the Ashman Prize for Theater (1994), the Bialik Prize (1994), the Prime Minister's Prize (1997), the Theater Award for Playwright of the Year four times (1997; 1999; 2000; 2007), as well as for Director of the Year (1999), and the Theater Prize for Special Achievement(1997).